Gather family and friends and head over to the park to celebrate our country's independence day. The Family Fourth of July at Angle Lake Park will offer the spray park for kids to cool off in; bouncers for children; an afternoon filled with live music and a fireworks show to wrap up a day full of fun activity and entertainment. The Family Fourth of July is sponsored by the City of SeaTac. We'd like to thank Recology CleanScapes for their generous financial contribution to the event. A safe, fun alternative to cool off at Angle Lake Park. The spray park features numerous spray nozzles for kids to run through and play in. If you dare, endure a drenching from the Mega Soaker, a 55 gallon container that fills with water and spills over onto the surface and anybody in the way every few minutes. Bouncer Hours: July 4, Noon-8:00 p.m. Cost: Wristband - $5 per day. Entertainment is sponsored by the City of SeaTac featuring Maurice the Fish record label artists and some friends of the record label. Family friendly entertainment begins at 1:00 p.m. and continues through approximately 10:00 p.m.
July 4th - 10:00 p.m. The show is produced by Entertainment Fireworks, the largest fireworks provider in Washington state with nearly two decades of experience. The show will feature numerous shells lifted to fill the sky in an artistic display for ultimate viewing pleasure. Parking will not be permitted inside Angle Lake Park on July 4th. Please use one of the parking options below. On July 4th patrons with special needs may use the disabled parking spots at Alaska Airlines Headquarters on a first come, first serve basis. The parking lot at Angle Lake Park will be closed July 4th. Event attendees are encouraged to use alternate forms of transportation. Cyclists are welcome however there are limited amount of bike racks inside the park. 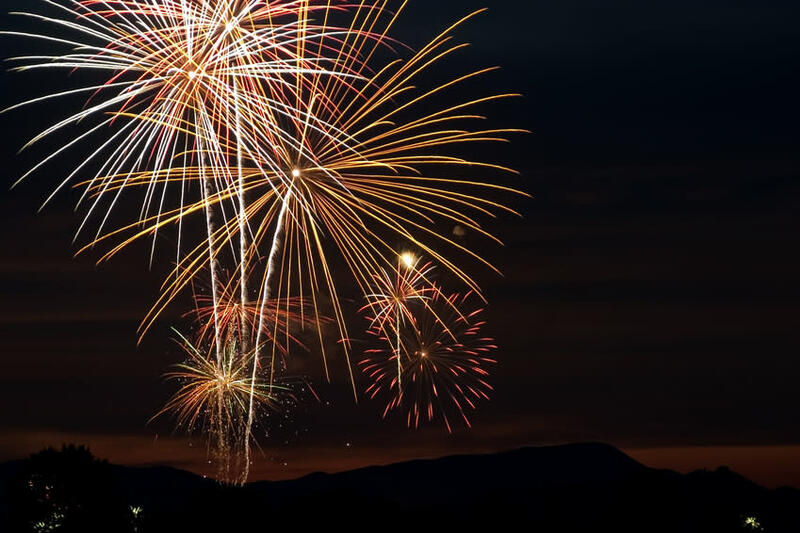 Buses will be running on a reduced holiday schedule, limiting the number of buses operating and the amount of guests they can accommodate after the fireworks. Take Metro's RapidRide A Line to the Family Fourth of July! Please remember to bring a flashlight for increased safety. You are welcome to bring your own food and beverages into Angle Lake Park. Coolers are allowed into the park. Alcoholic beverages are prohibited. To look up SeaTac Municipal Code click here. The swimming beach will be closed all day on the 4th of July for staging of the fireworks. The water spray park will be available from 11:00 a.m. until 8:00 p.m. The public boat launch at Angle Lake Park will be closed all day on July 4th for staging of the fireworks. Boaters are welcome to view the fireworks display from the water however due to safety regulations must remain a minimum of 210 feet away from the fireworks staging area. There will be no boat launch or parking lot access on July 4th. Events of this size cannot be done without the help and cooperation of many people. Thank you to all of you who contributed. All our Volunteers who helped make this event possible. Alaska Airlines for providing overflow event parking. IBEQ Union Office for providing overflow event parking. Recology CleanScapes for their generous financial contribution.